Observation - Lords and Ladies - UK and Ireland. Description: Arrow shaped leaves, with black markings. 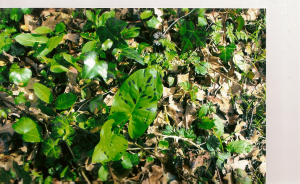 Arrow shaped leaves, with black markings.